Today I turn 35. There is no other way to face the ageing process than head on, in an all embracing bear hug. The day started with a 5km run with my dear friend Steph. 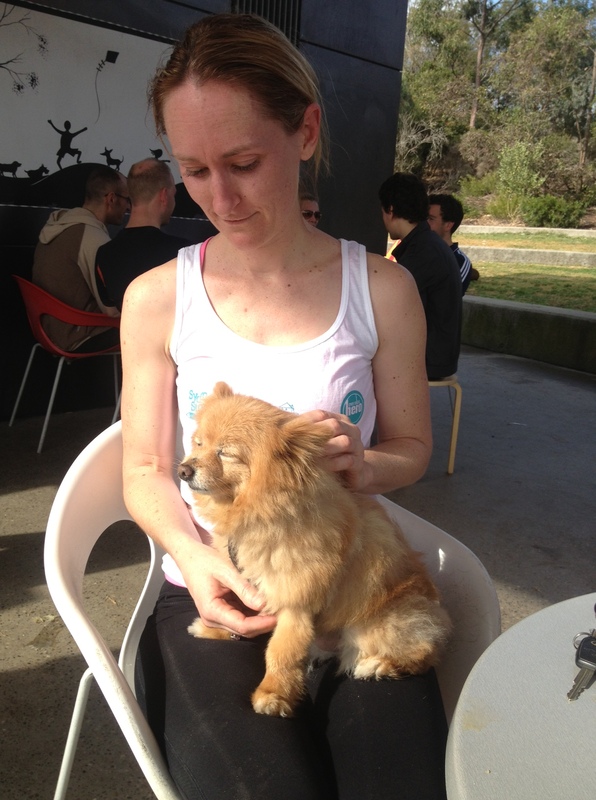 The photo included in this post is of another friend I made on the day….Bear the dog. This might just be my most treasured photo of 2013. The look of joy on this little dog’s face is priceless. He is living in the moment, pure joy is expressed on his face….take a close look… He is Smiling!! Bear is birthday reminder to me to live in the moment, treasure the small things, not sweat the big stuff….and above all smile…Grin and bear it….another birthday, another digit…not a problem.